Aimcon Surveys Limited is a family run Chartered Land and Measured Building Surveying company offering a range of professional measurement and surveying services across London and The Midlands. Our teams use the latest Leica Total Stations and GNSS to capture data in either 2D or 3D with output in a wide range of formats. 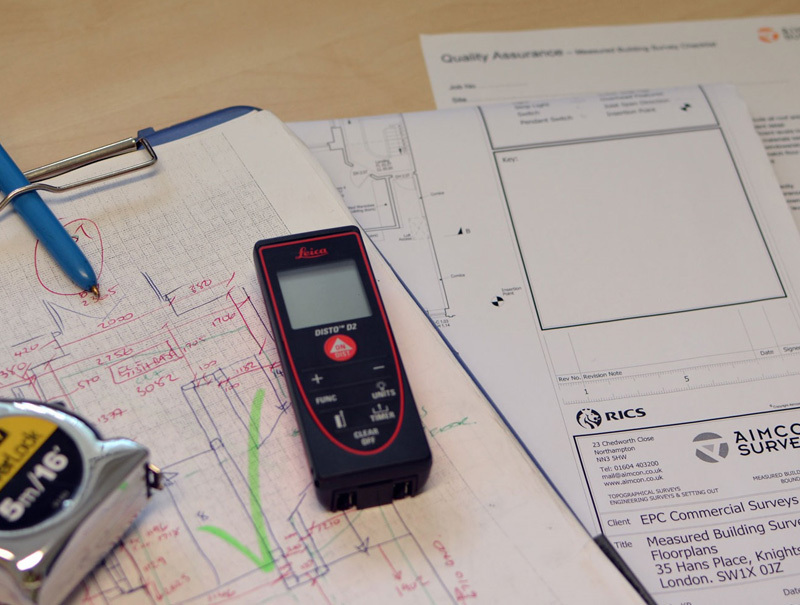 A reliable and accurate survey is a vital start to any projects future success. 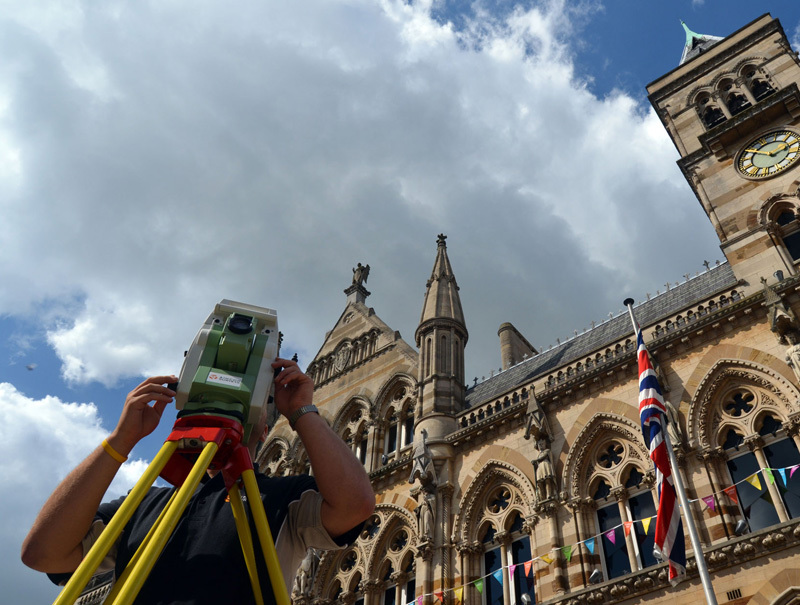 We are skilled in producing topographical surveys for greenfield, brownfield and development sites to meet any client requirements and costs. We are experienced and competent in the delivery of high quality measured building surveys of all types of buildings whether commercial or residential. If you are an architect, property owner, building surveyor or developer and however small and basic or large and complex your buildings are we have the skills to produce to your exact needs and costs. We specialise in London sites but work all over the south-east and the Midlands and can tailor our surveys to meet your budgets and specification. Modern 3D Laser Scanners collect high density measurement data in a rapid manner and thus opens up new and more efficient workflows without sacrificing quality and accuracy. 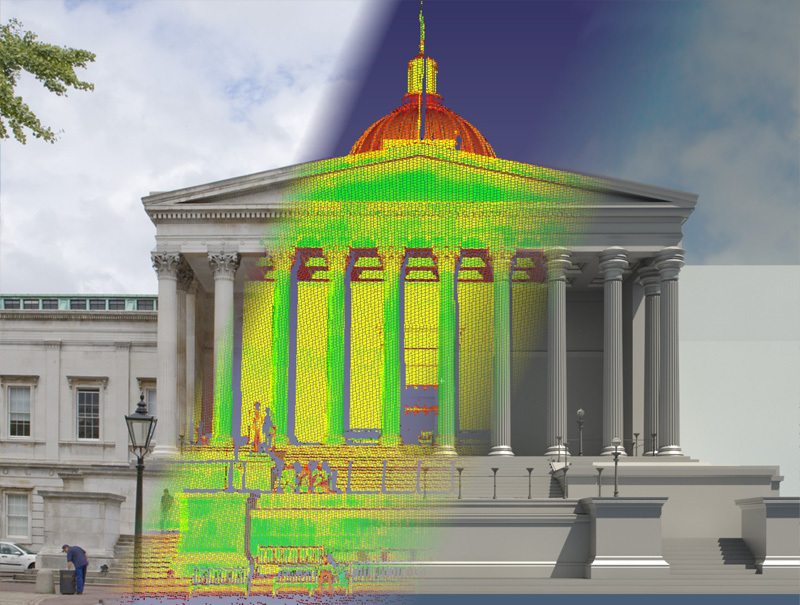 Pointcloud data is used to supplement the drafting of standard 2D measured building survey deliverables and the production of 3D Revit models for BIM. 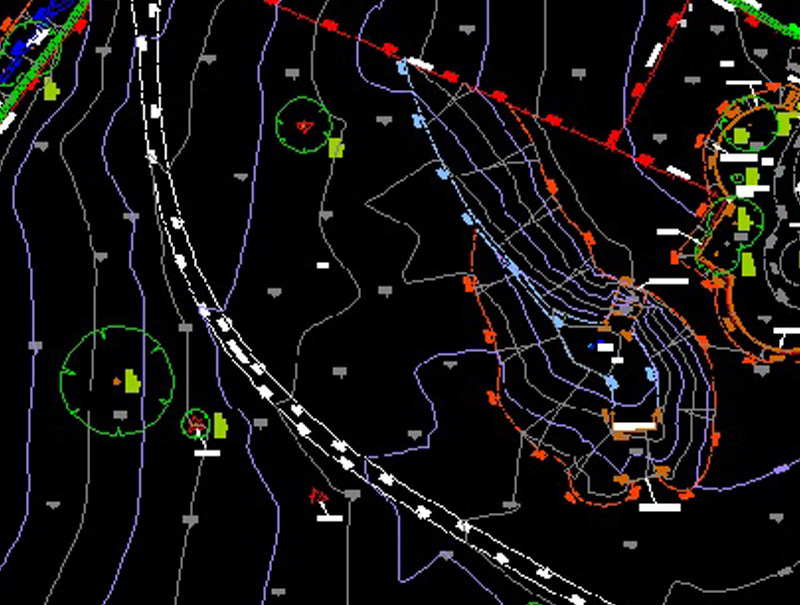 Additionally to our core services we also provide services that are labelled in the following ways: property surveys (eg areas surveys, lease plans, rights of light), legal services (expert witness and boundary plans), underground utilities surveys, engineering surveys (monitoring and setting out). Centrally located in the UK between London and Birmingham we are less than 2 hours to most of the country. To discuss your requirements please get in touch. Our costs are competitive and can be tailored to suit your needs. Full written quotations within 48 hours provided and lead in times vary between 1-3 weeks. The survey is great - thank you! We'll definitely get in touch with future work. We used Aimcon for the first time several months ago…. [they] were very responsive and provided a very professional service. Their reports were clear and concise and they were always happy to discuss any aspect of the survey. We've used their several times since and I am happy to recommend them. [Aimcon Surveys] has passion for their work and this shows, they were friendly, knowledgeable and professional.